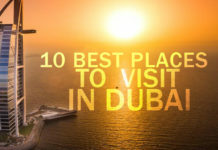 10 Best Hotels In Dubai - Travel Tips - TryThis! Dubai – The City of the Future, Dubai is one of the seven emirates that make up the United Arab Emirates in the Persian Gulf. Dubai is located on the northeast coast of United Arab Emirates. It is rather like an independent city-state and is the most modern and progressive emirate in the UAE, developing at an unbelievable pace especially in the tourist and trade sectors. Dubai, a city that is not afraid of ambition. Pumping billions into positioning itself as a tourist Mecca and a burgeoning business hub. There is a lot more to the city than meets the eye, from a thriving art and design ecosystem to a constantly changing food scene, there’s always something new happening. There’s a level of cultural diversity that is hard to match, an aspect that most visitors are likely to enjoy thoroughly. With almost 200 different nationalities calling it home, an impressive 90% of the population is from outside the country, Dubai definitely is the most cosmopolitan cities in the world. Atlantis The Palm is a luxury hotel that does not need much of an introduction. Atlantis The Palm is one of the most popular hotels that the emirate has to offer. 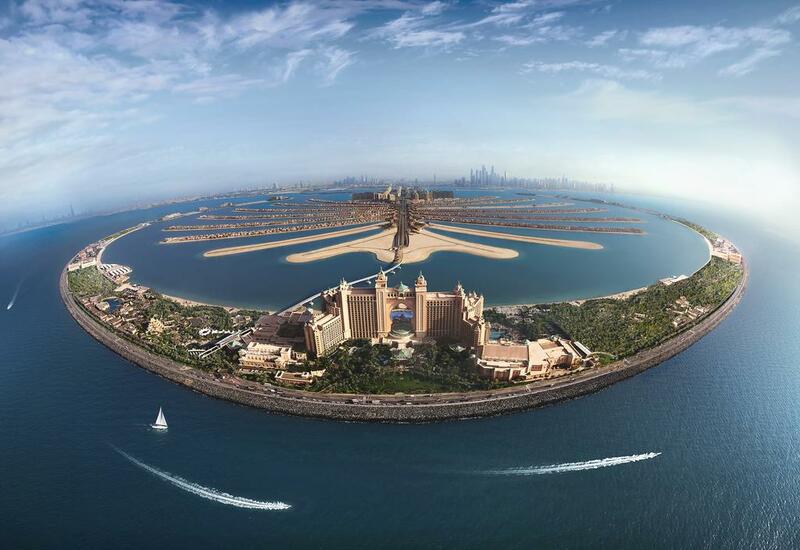 Palm-Atlantis holds the number one position amongst the best hotels in Dubai. The award-winning Atlantis The Palm is set on the crescent of Palm Island and offers 5-star luxury, including over a kilometer of private beaches and 2 outdoor pools with impressive views of Dubai’s cityscape. With the luxurious state of the art facilities, this hotel has a wide range of cuisine and food options to choose from. This hotel not only features an array of high-end boutiques but also is just a 25-minute drive from Dubai Mall and the famous Burj Khalifa. Decked out in an elegant Arabian-inspired decor this iconic resort showcases spectacular views of the Gulf or Palm Island. The multi-cultural population brings in the best of every culture in a harmonious way. The diversity of the city is unparalleled and so is the food styles available in Dubai. With hundreds of Arab-Persian-Indian-Pakistani-Filipino-French-Japanese-Chinese-British, and American restaurants, both humble and high-end, there’s something for everyone. When everything else in Dubai is dripping with glamour and extravagance, can the hotels be left far behind? Dubai is home to some of the world’s most alluring hotels. 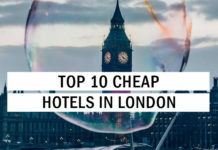 From family favorites to art hotels with local vibes. Allow the exotic essence of this grand city penetrate your soul by putting up at the ultra-luxurious properties and rejuvenate your mind and lifestyle. 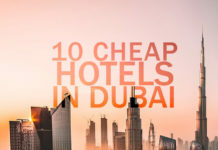 Here are the 10 best hotels in Dubai which are ideally located for experiencing the best of what money can buy! 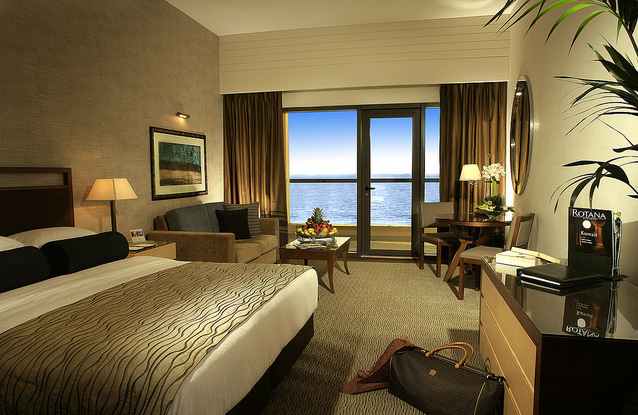 Sofitel Dubai Jumeirah Beach is ideally located for discovering Dubai with Horizon Tower, Al Fattan Marine Towers and Silverene within a 10-minute walk. It is also a 10-minute walk from Al Sahab Tower 1 and Al Bateen Tower which makes it one of the best hotels in Dubai. 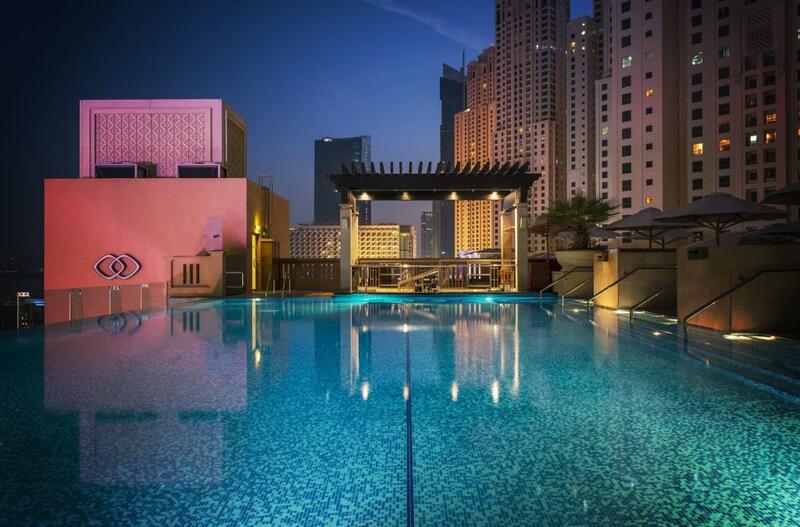 Sofitel Dubai boasts an infinity pool providing with all the comforts one could ask for. With a wide range of travelers from all over the globe rating it as one of the best hotels in Dubai, this luxurious stay shouldn’t be missed! Situated in Dubai Marina, Amwaj Rotana delivers a stylish 5-star arrangement with the popular tourist attractions just a stroll away! 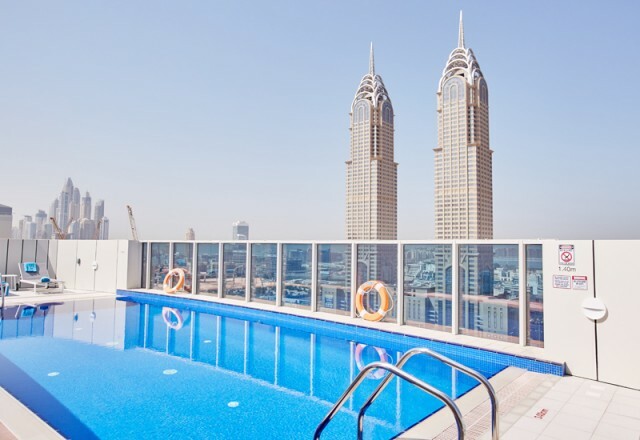 This one of its kind hotels amidst the best hotels in Dubai comprises family-friendly facilities, with room designs and services for families of all sizes, as well as a kid’s club and a kid’s pool. Guests of Jumeirah Beach are invited to experience the finest international cuisines at Horizon – All Day Dining or might enjoy Italian meals at Rosso – Bar, Enoteca, and Ristorante. This exquisitely located hotel is quite popular amongst honeymooners as well. The hotel is owned by the Dusit International, a renowned Thai multinational hospitality company. Dusit Thani is just 10 km away from the crowd-pleasing City Centre. 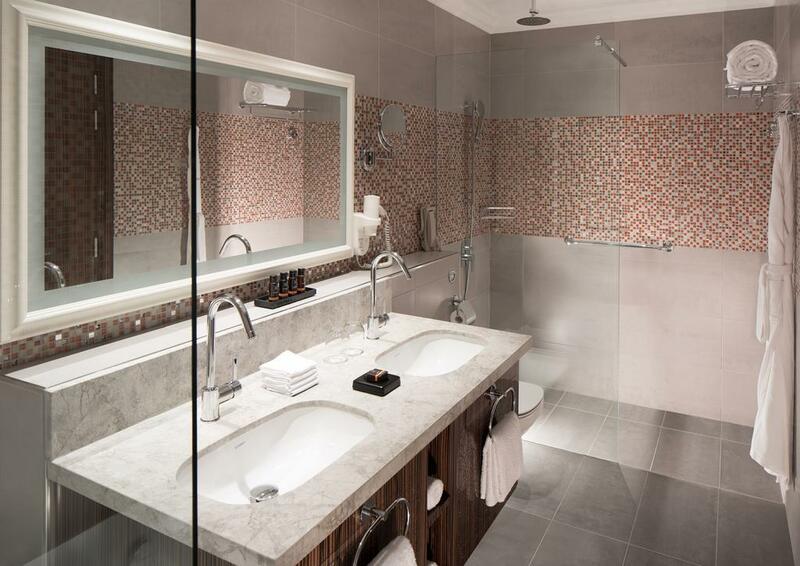 this modern hotel provides an executive floor, a beauty center, rooftop pool, modern fitness center and valet parking completed with convenient dining options. Multilingual staff or the concierge team is always ready at your service to provide with express check-in facility offered for convenience as well as leisure pursuits. Dusit Thani is amongst the best hotels in Dubai for its convenient location with 21st Century Tower and Liberty House only a 10-minute stroll away. Chelsea Tower and Financial Centre Metro Station can easily be reached on foot. 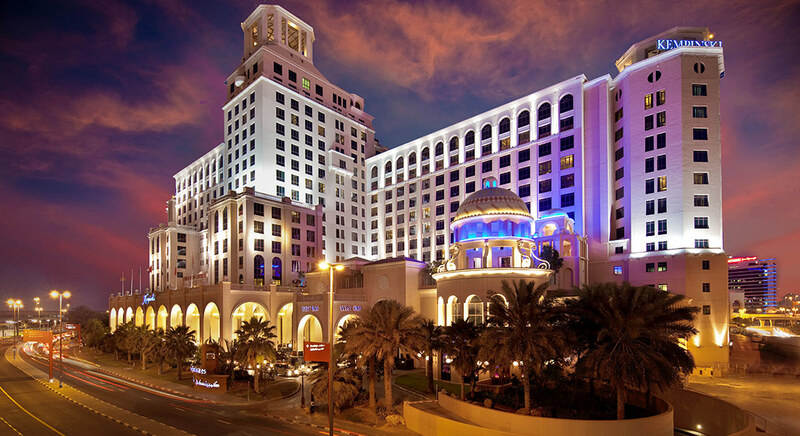 Offering direct access to Mall of the Emirates, this hotel provides ultimate 5-star luxury. Being close to the Dubai Metro this hotel allows convenient access in and around Dubai making it in the list of best hotels in Dubai. Guests of Kempinski Hotel Mall of The Emirates are invited to sample Spanish cuisine at Salero Tapas & Bodega or try Middle Eastern and local meals at Olea. Lunch, afternoon tea, and dinner are served daily at Aspen by Kempinski. A wide choice of cafés and restaurants are also found close to making your stay enjoyable. 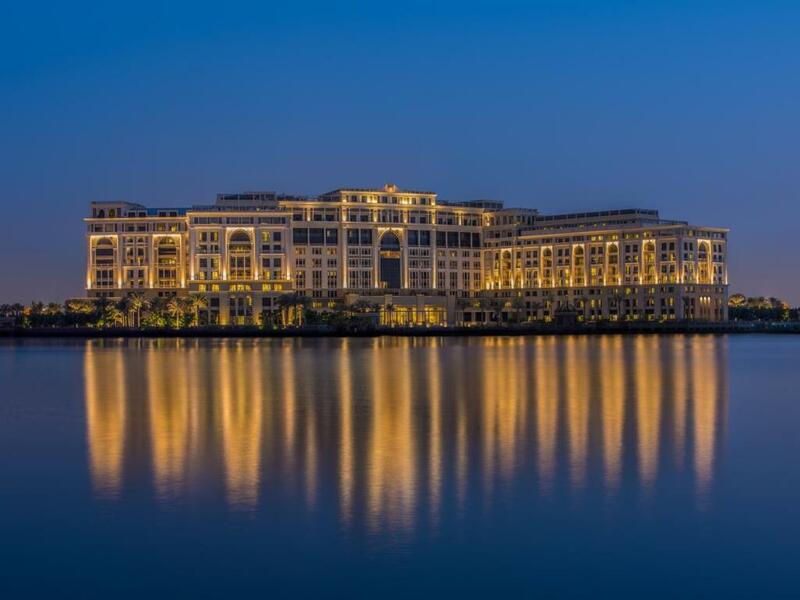 Situated in the heart of the Culture Village, Palazzo Versace Dubai is conveniently located along the shores of the historic Dubai Creek. The hotel is less than 15 minutes away from Dubai International Airport, and 8 minutes from Burj Khalifa and Downtown Dubai. 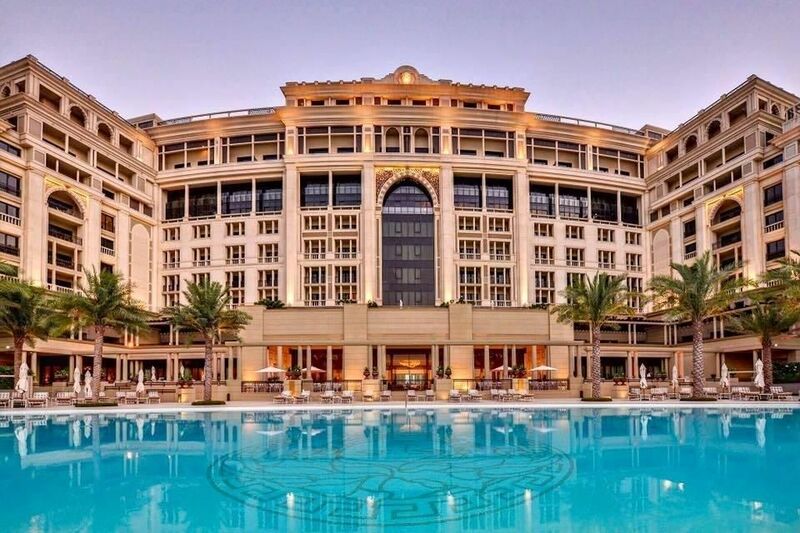 This neoclassical masterpiece, with subtle traces of Arabian architecture, is not only a visual treat but also has positive reviews from the guests remarking it as one of the best hotels in Dubai. 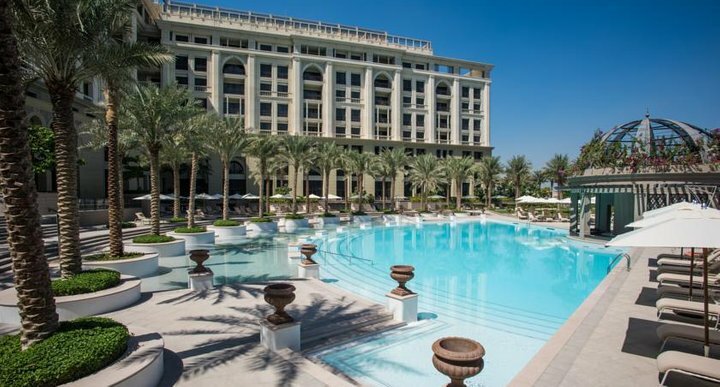 This luxury hotel in Dubai offers complimentary Wi-Fi, as well as a butler service and an infinity pool and a limousine service which are just some of the luxurious amenities on offer to guests throughout their stay. The contemporary hotel is surrounded by the waters of the world’s largest man-made marina and offers a unique experience, something different from the rest of the listed best hotels in Dubai here. 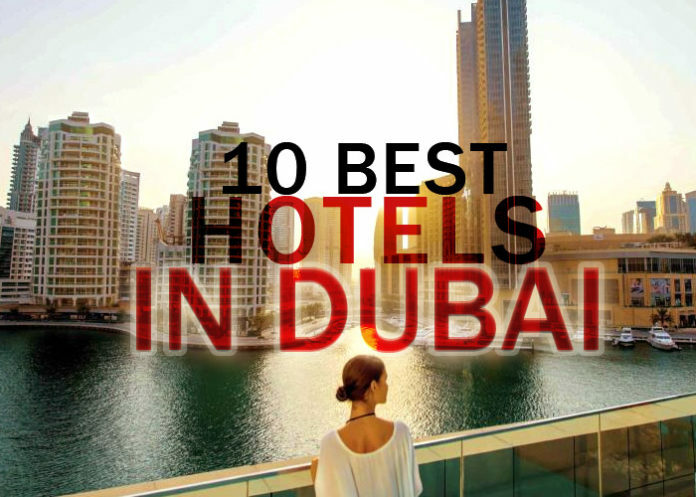 Perfectly located near the Jumeirah Beach, Dubai Mall and Burj Khalifa this extraordinary hotel definitely makes it to the top ten list of the best hotels in Dubai. Wyndham Dubai caters a warm, energetic atmosphere where business and leisure are scrupulous. Apart from the option to dine in any of its two restaurants, the hotel offers an outdoor pool, sauna, fitness center, spa, separate smoking zone as well as tour assistance and conference rooms for your business meetings. 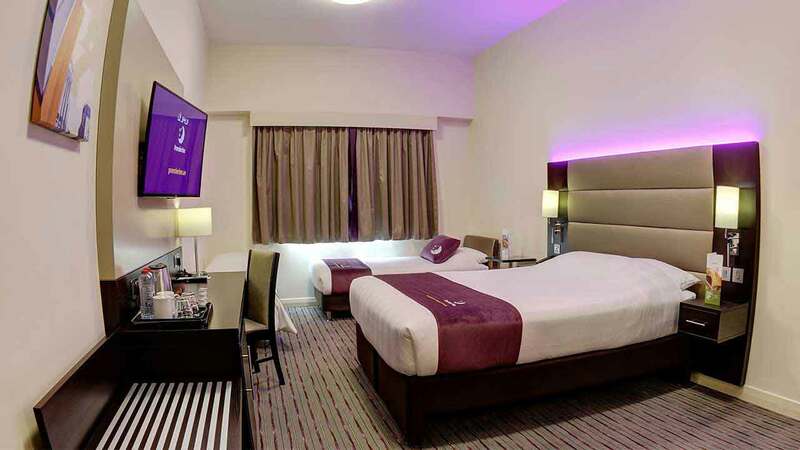 If you’re a shopaholic and want to shop non-stop, then Premier Inn Dubai is amongst the best hotels in Dubai for you. 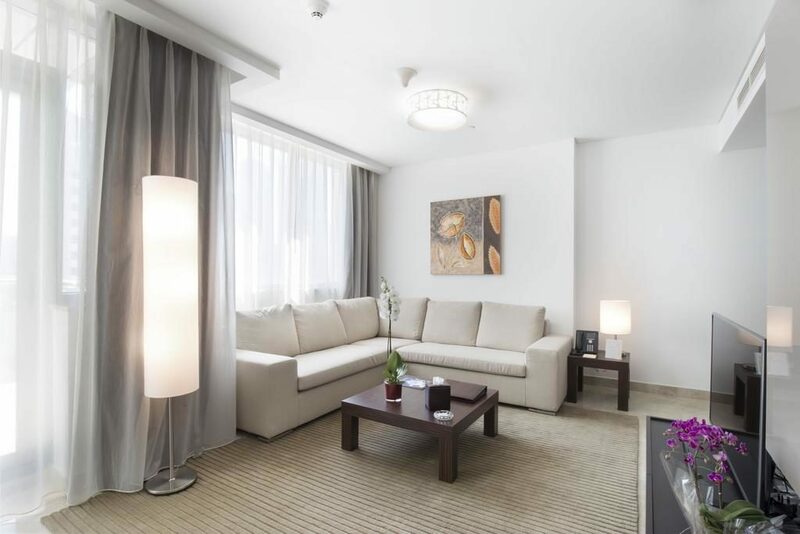 Interlinked with the interconnected Ibn Battuta mall this hotel gives you a choice of hotspots of shopping, dining, and entertainment right on the doorstep, connecting guests with the local area. 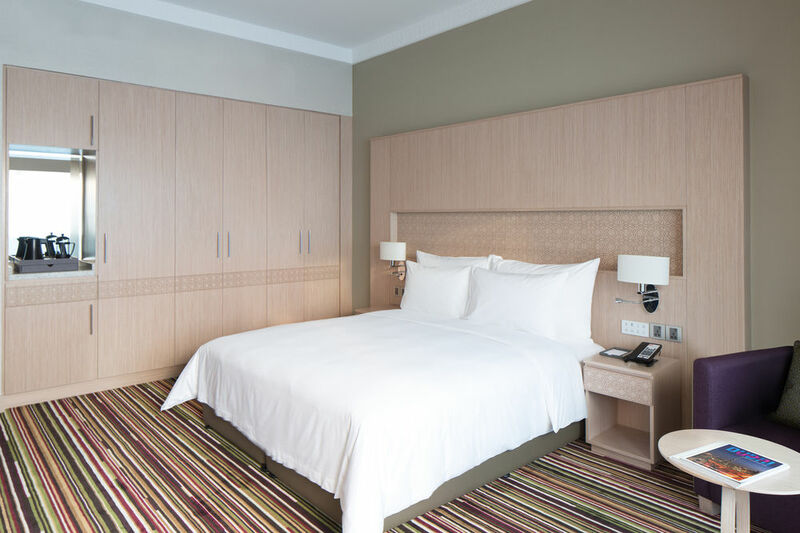 Within easy driving distance from the Dubai Media City and DP world, Premier Inn is appropriate for a cozy stay in Dubai. 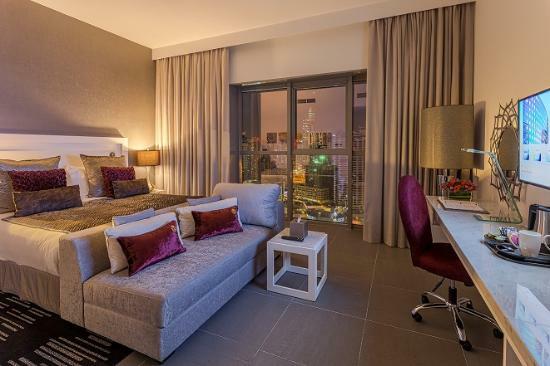 This fantastic new hotel, close to the “Internet” meter is a luxury 4-star accommodation, offering guests an exceptional rooftop pool along with 24-hour room service, welcoming and professional staff making this property in the list of the best hotels in Dubai. With city views from the house gym, this hotel is located just a 5-minute stroll away from the Dubai Internet City Metro station, meaning it’s easy to get to the center and other prime locations of the city. It is also perfectly situated in close proximity to a selection of fine dining options. Dusit D2 Kenz is one of the best hotels in Dubai, with guests rating it amongst the best accommodation to stay in Dubai. 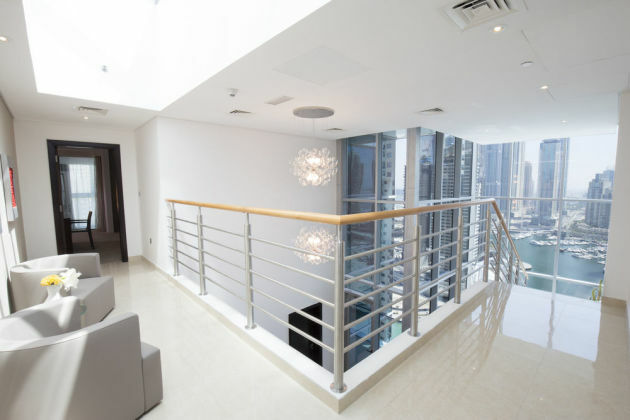 Situated in Dubai Marina, La Verda Suites & Villas Dubai Marina is known for its 5-star service and comfort. La Verda Suites & Villas Dubai Marina provides disabled parking and is an easy drive from Armada Towers and Mall of the Emirates. 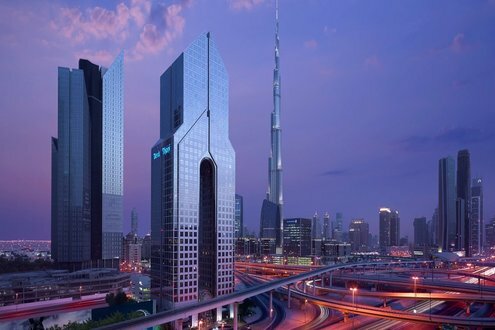 It is within a 20-minute stroll of Jumeirah Lakes Towers (Dubai Metro), which allows for easy access in and around Dubai making it a unique choice for accommodation among the best hotels in Dubai. With stunning views, a one of a kind modern layout and exotic accents, these villas are an unforgettable retreat.